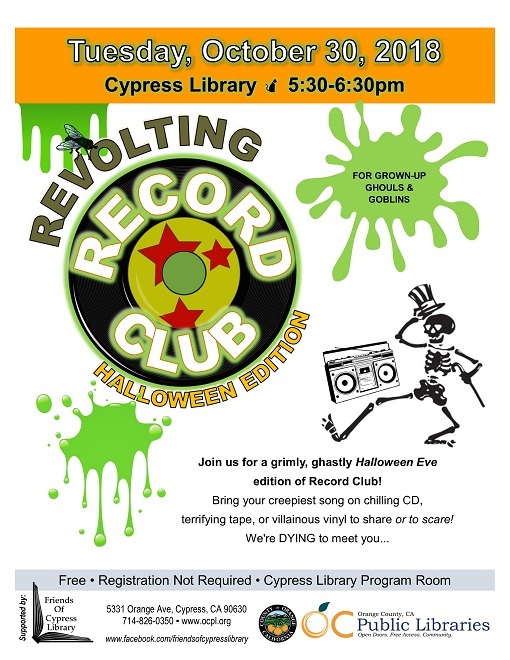 Join us for a grimly, ghastly Halloween Eve edition of Record Club! Bring your creepiest song on chilling CD, terrifying tape, or villainous vinyl to share or to scare! Free! For teens and adults (grown-up ghouls & goblins).